Take a local train on the JR Tokushima line to Kamojima（鴨島）station. It will take about 35 minutes and costs 450 yen. Exit the station and walk down the street with the covered sidewalks. From there either ask for directions to Fujii-dera or use the guidebook, Shikoku Japan 88 Route Guide. It is about 3km to Fujii-dera. Make sure you have enough food and drink to get you through the trip. You can fill up a bottle with spring water at Ryūsuian, buy a drink from a vending machine at Temple 12, or perhaps buy something at the foot of the mountain after Temple 12. It is believed that when Kōbō Daishi in 815 visited here, he carved the 93cm seated statue of Yakushi Nyorai and enshrined it as the main deity in a hut that he built. He also planted the five-coloured wisteria in front of the main hall. During the 16th century, all of the buildings and temple treasures were destroyed by fire. 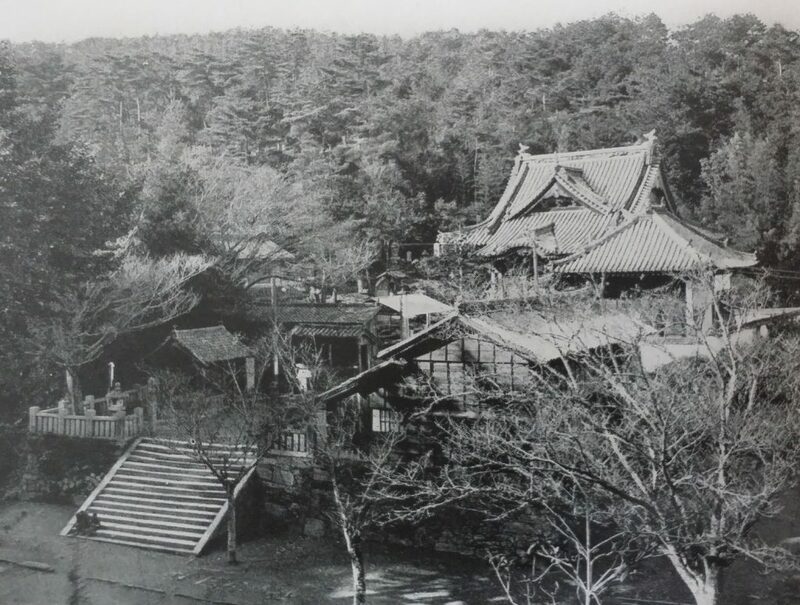 In the 17th century, the main hall was rebuilt and the temple changed to the Rinzai sect, but in the early 19th-century fire again ruined everything except for the statue of Yakushi. The present buildings were rebuilt around 1860. The path is a like a roller coaster – up and down, up and down. Some parts are so steep that they are called henro gorogashi or “pilgrim fall down”, so take your time and be extra careful. Along the way, there are several places where you can take a break. The first one is Chōdoan (長戸庵) (elev. 440m, 3.2km from Fujii-dera), which is a small hut with a statue of Kōbō Daishi. The next place is Ryūsuian (柳水庵) (elev. 500m, 6.6km), which consists of several buildings of which one used to be an inn for pilgrims. There is a place that has fresh water. It is believed that when Kōbō Daishi came here, he struck the ground with his staff and water came gushing up. Travellers can use the toilet here or stay for free at a large hut just past this place. There is an old tale about Ryūsuian: Along the way between Temples 11 and 12 there is a hut in honour of Kōbō Daishi called Ryūsuian, but other than this there are no homes in the vicinity. However, there was an evil person who, while pretending to be a pilgrim, deceived many people, stole their clothing, and sometimes killed them. In the winter of 1817 there was a couple from Kumamoto who were making the pilgrimage around Shikoku and as they climbed towards Shōsan-ji a man approached them from the opposite direction and said, “This is the miracle water of Kōbō Daishi. Please drink it” and gave them the water. The couple was very grateful, but right after drinking the water, they suddenly both went mad. The husband ran recklessly around, fell off a high rock and died. The wife did not realize that the water had caused her husband to go mad, but she then glared into space, went mad, and without caring about what people would think burst into people’s homes. People thought she might be a mountain witch spoken of in society. Everyone was afraid and ran away from her shaking in fear. She eventually returned to a sane state, told others of this story, and found the bones of her husband. The lord of this land sent a message to Kumamoto about what happened, which caused a lot of commotion among the people. The next place along the journey is Jōrenan (浄蓮庵) (elev. 745m, 8.8km) also called Ipponsugian (一本杉庵, one-cedar-hut). The huge cedar is believed to have been planted by Kōbō Daishi. And in front of the cedar is a statue of Kōbō Daishi at the top of forty-two concrete stairs both donated by someone from Kyoto in 1926. It is also said that while Kōbō Daishi was taking a nap here the deity Amida Nyorai appeared in his dream, so he carved a statue of Nyorai when he woke up and enshrined it at this spot. From here you descend to about 480m before you make the ascent to Shōsan-ji. During the 8th century, a Buddhist priest, En no Gyoja visited here for ascetic training, then in 815 Kōbō Daishi came and carved the 1.4-meter seated statue of Kokuzo Bosatsu. He also fought with a snake and banished it to a nearby cave. The path up leading up to the gate has several amazing statues and the numerous gigantic cedar trees past the main gate are amazing. There are toilets and vending machines here. In the past up to 100 people could stay at Temple 12, but nowadays only about six can stay, so the best options for lodging are Nabeiwa-so (088-677-0181) or Sudachi-kan (088-677-1180) at the foot of the mountain below Shōsan-ji. There are other places to stay in Kamiyama town. 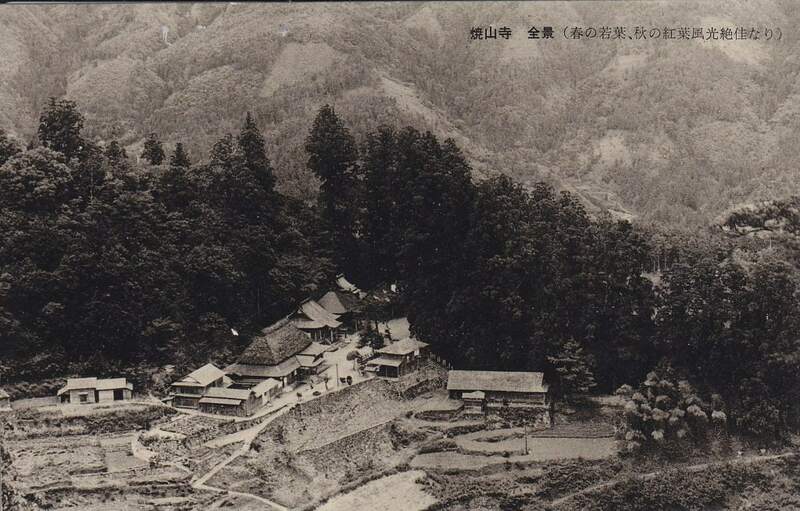 On the descent from Temple 12, you will pass by another interesting site, Jōshinan (杖杉庵) (elev. 500m). There is a statue that marks the spot where a greedy, evil-hearted man called Emon Saburo met Kōbō Daishi and begged for forgiveness for bad deeds that he had committed. If you have made it down to the small village and still have energy, then you are doing great, but the journey is not quite over. You must keep walking to the Yorii-naka bus stop (寄井中バス亭) in Kamiyama town about 4-5km away and get the No. 56, 57 or 58 local bus back to Tokushima. The bus takes about 75 minutes and costs 1,000 yen. There seems to be a bus leaving at 16:00 and 16:48. Or perhaps you might want to relax at the Kamiyama onsen (hot springs) before heading back. This article was first published in the September 2014 issue of Awa Life.